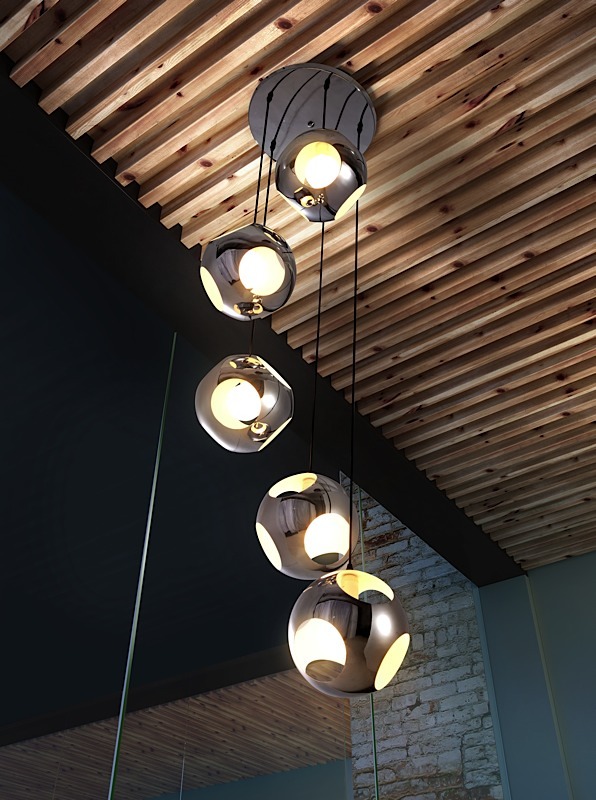 A 15" diameter ceiling plate drops into five mod chrome orbs, giving the Meteor Shower Pendant Lamp a style and versatility suited for any modern space. With the ability to hang nearly 6' tall, Meteor Shower is designed to make a statement hanging anywhere, over a mod glass bar table or the kitchen sink. Meteor Shower requires five (5) E26 G80 40W max bulbs (included). 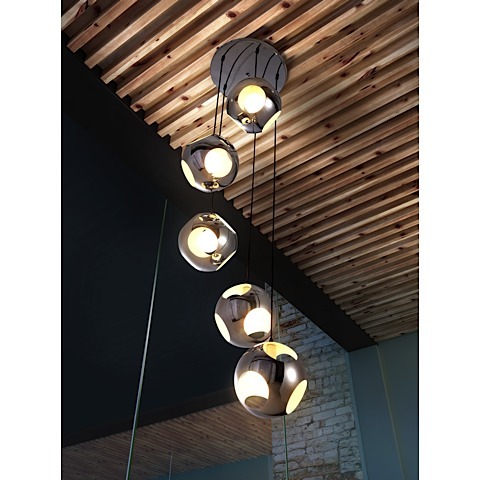 Each 10" orb is affixed with a cord adjustable up to 57" long.